Check out articles on exciting new films and productions in the special issue of Shakespeare (BSA journal, edited by Global Shakespeares’ co-founder Alexa Alice Joubin). In the engaging collection of articles you can read about the meanings of epic in Ryutopia Hamlet in Japanese, a Bollywood Lear made in London, Caribbean trickster figures, a Spanish actor-manager in Madrid and Latin America, and Perttu Leppä’s Finnish film Eight Days to the Premiere. All of these are brought together through Joubin’s introduction. The collection shows how this approach to trans-national adaptations and performances forms a liberating and invigorating perspective. On MIT Global Shakespeares video archive website, you can view several films and productions that are discussed in the special issue. 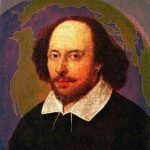 In her article Alexa Alice Joubin explains that the global Shakespeares methodology steps outside of questions of fidelity to explore the implications of a Shakespeare firmly at home across many cultures and traditions. The idea of global Shakespeares has caught on because of site-specific imaginations involving early modern and modern Globe theatres that aspired to perform the entire globe. The early modern theatres revealed a fascination with the expanse of the earth – placing humanity within the order of the universe. The modern Globe performance spaces, both inside and outside England, are often associated with national celebrations of Shakespeare and his works. As such, they seem to set up a tension between nationalistic pride and international contacts. Joubin unpacks how these modern theatres reflect the present-day focus on globalization, a concept that inspires enthusiasm. Indeed, in this expanding world, the cross-cultural perspective of global Shakespeares creates fresh dialogue. Global Shakespeares are not appendages of colonialism, exercises in political rhetoric, or centerpieces within a display of exotic cultures. Global Shakespeares as a methodology situates us in a postnational space defined by fluid cultural locations rather than nation-states. Joubin affirms that international manifestations of Shakespeare’s works have a complex dual nature as both global travelers and local inhabitants. Joubin’s introduction sets out the special issue’s fascinating theme, and the other authors point out various facets of this jewel-like concept. Around the world, Shakespearean readers, writers, actors, directors, and audience members interpret and reinterpret Shakespeare based on their own context. In some of the pieces, Shakespeare becomes a way to discuss local concerns about postcolonial life in various areas, including the Caribbean and Britain. In other ones, different plays blend with local literary, stage, or filmic culture to create intriguing hybrids. As the articles suggest, the combinations can bring new insight into the adapted texts or put high pressure upon the adaptations. Learn about the many meanings of epic in the Ryutopia Hamlet. Peter Donaldson examines how this Japanese interpretation incorporates the Japanese epic Heike monogatari. Specifically, Donaldson states that the Heike inclusion not only places Shakespeare’s allusion to Vergil’s Aeneid in a Japanese context, but also emphasizes Hamlet’s theme of dynastic ruin. Donaldson considers the implications of this integration, and argues that Hamlet might be a national – and trans-national – epic. Understand Shakespeare’s continued relevance in a post-colonial world by examining a Bollywood Lear made in London. Kinga Földváry analyzes the adaptive film Life Goes On as a completely modern reframing of Lear which depicts the challenges of a Hindu family that emigrated from Bengal to England. Földváry pinpoints how Life Goes On brings Lear’s intergenerational conflict over home and family relationships into a culturally relevant context for contemporary audiences. See how a Caribbean interweaving of African trickster figures with Hamlet and King Lear complicates traditional narratives of postcolonialism. In her analysis, Giselle Rampaul examines the use of tricksters and crossroads in Davlin Thomas’s plays Lear Ananci and Hamlet: The Eshu Experience. Rampaul explains that Thomas’s adaptations go beyond the simple dichotomy of colonizer and colonized, depicting the Caribbean’s postcolonial future as unknown and full of possible choices. Learn the surprising history and significance of Spanish actor-managers producing Shakespeare in Madrid and Latin America. To refute the belief that Shakespeare had no influence on Spain and Spanish culture, Juan F. Cerdá investigates the reception of various touring Shakespearean plays produced by Spanish managers and performed by foreign actors during the nineteenth and early twentieth centuries. He examines the widespread Spanish belief that the touring productions were more cultured than their local Shakespearean counterparts. He also looks at how that perception contributed to the prevalence of Shakespearean performances when Spanish actors toured in Latin America. Find out what the reception of Perttu Leppä’s Finnish film Eight Days to the Premiere signifies about the impact of transnational Shakespearean understandings. Nely Keinänen astutely investigates the critical response to Eight Days, arguing that audiences have extraordinarily – and perhaps unfairly – high expectations for films that incorporate Shakespeare. For many viewers of the film, the idea of “Shakespeare” includes somewhat overwrought acting, early modern costumes, and a large-scale film budget. The metatheatrical Eight Days disregarded these pre-conceived ideas. Instead, the director created a warm, small-scale film with a Shakespearean performance as its backdrop. Consequently, Keinänen cites unfulfilled expectations as the main reason for the relatively limited circulation of Eight Days, using the film as an interesting study of why some adaptations spread farther geographically than others do. Global Shakespeares as a methodology provides an engaging lens through which to view not only the adaptations discussed in this special issue, but also other productions.